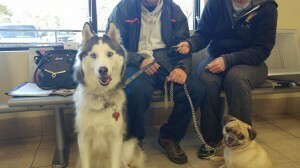 Blog Post about Annual Exams for Thor and Max! 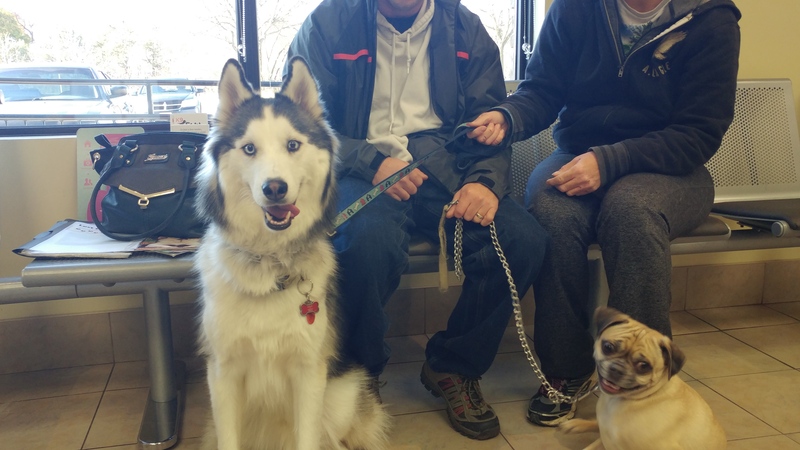 Annual Exams for Thor and Max! Routine physical exams performed by a qualified veterinarian are crucial to maintaining your pet’s good health. Learn more about the annual costs of pet ownership, including preventive care. Check-ups are important because they provide an opportunity to prevent diseases, detect disease early or avoid disease altogether. Unfortunately, many pet owners tend to underestimate the value of check-ups because their pets seem to be healthy. But often diseases and ailments, like high blood pressure or a heart murmur, aren’t apparent in the early stages. A study by the Outcomes Research Team at Zoetis revealed that one out of every four outwardly healthy cats had abnormal lab results. The surveyed cat owners admitted there were warning signs in nearly 70% of the 1,197 cats checked. This shows that when cat owners are given questions relating to subtle signs in their cat, it can lead to prevention or early diagnosis and a better chance for management or recovery. You can also ask questions about training and hygiene at your check-up. Obedience training is important for your pet’s health, because behavioural problems account for more deaths in dogs than any known disease. Dogs that aren’t properly trained are more likely to be hit by cars or involved in fights with other dogs, while a well-trained and obedient dog is more likely to live to a long and happy life. Properly trained cats are less likely to have litter box and behaviour issues, which are leading causes of owners surrendering cats. Your veterinarian will ask you questions about your pet’s health. This helps your vet determine whether there are specific problems that need to be addressed. For example, a history of poor weight gain or weight loss can indicate a parasite problem. Intestinal parasites (worms and protozoans) are a common and potentially lethal problem in pets. This is especially true in young puppies and kittens. Your veterinarian can detect the presence of these parasites with a simple stool test. After getting a history, your veterinarian will do a physical exam. Starting at the head, your veterinarian will look at your pet’s eyes, ears, face and mouth. Examining the teeth is especially important, since up to 85% of dogs and cats over four years old have gum disease. The veterinarian will examine your pet’s coat for signs of parasites, such as fleas, and make sure the coat isn’t too dry or oily, which might indicate a nutritional imbalance. Your pet will be weighed and a change in diet might be needed to avoid health problems related to obesity. If your pet’s losing weight over time, that could be a sign of a medical problem that needs further examination. Your veterinarian will also listen to the chest with a stethoscope to make sure there are no issues with the heart or lungs. More than 12% of dogs experience a heart problem in their lifetime.